Spain’s Mariano Rajoy, who is to stand down as head of the conservative Popular Party after being ousted as prime minister last week, said Wednesday he plans to quit politics altogether. “My intention is to definitely abandon politics, there are other things to do in life than dedicate oneself to politics,” he said during an interview with radio Cadena Cope. “I had an enormously intense political life and I think it makes no sense to stay longer here,” the 63-year-old said, adding he would not attend an emergency party congress in July to elect his successor. 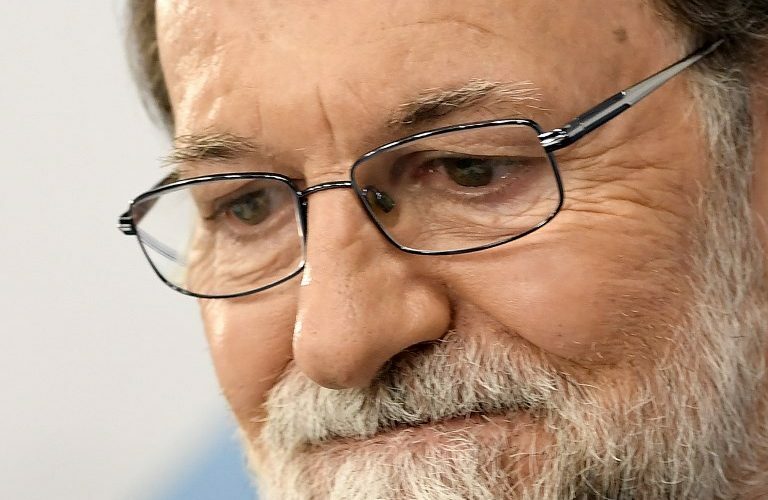 Rajoy, one of Europe’s longest-serving prime ministers, was ousted on Friday after he lost a no-confidence motion in parliament filed by the Socialists over a graft case that tainted his Popular Party (PP). He was replaced by Socialist leader Pedro Sanchez. Since taking office in 2011, Rajoy has survived a bailout for Spain’s banking sector, an election that left him with a minority government and a separatist push in the wealthy northeastern region of Catalonia. On Tuesday, he announced he was quitting as head of the PP. Among those tipped to replace Rajoy as party chief is former defence minister Maria Dolores de Cospedal, currently the PP’s deputy head. Others include former deputy prime minister Soraya Saenz de Santamaria and the president of the northwestern region of Galicia, Alberto Nunez Feijoo, who is close to the ousted prime minister.